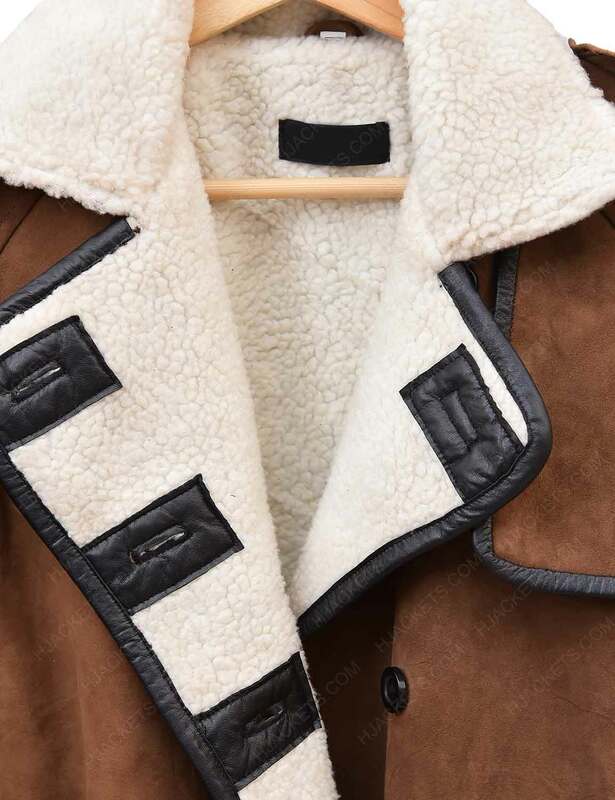 Has anyone told you that leather coats are either expensive or just won’t suit you? It is time to prove them wrong and look absolutely mind blowing and chic in this attire. 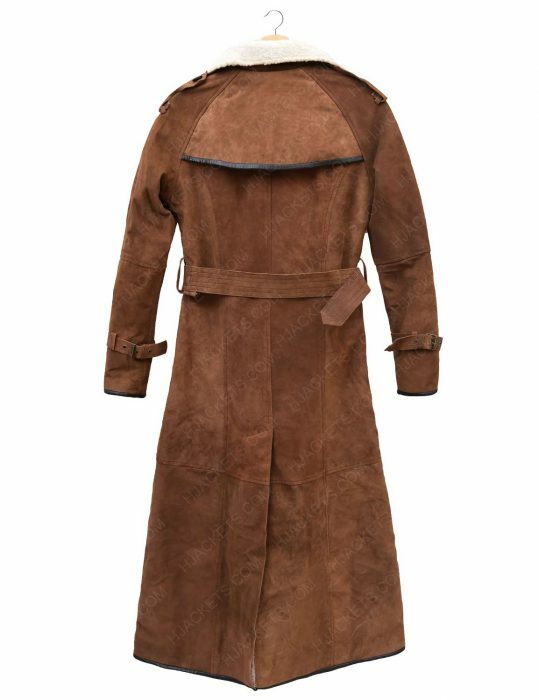 The Double Breasted Brown Suede Womens Coat is now being sold at an exclusively discounted rate. 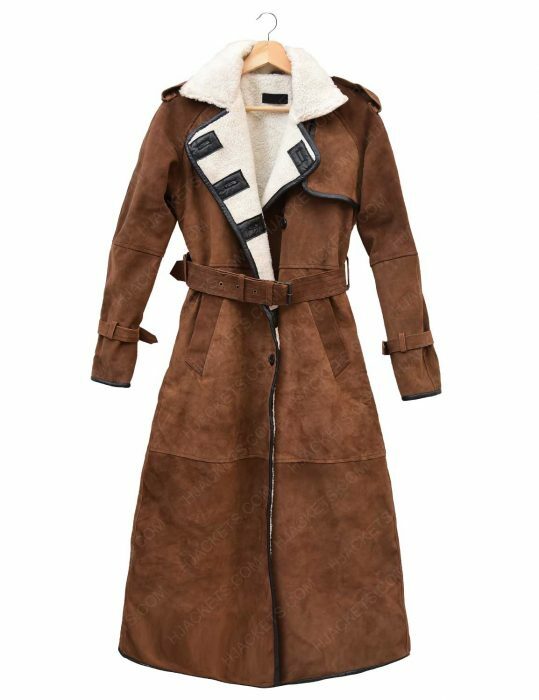 The Brown Suede Womens Double Breasted Coat is created from faux shearling fur on the inside and suede leather on the outside. It has belts on the waist area and the cuffs for a proper fitting experience. There are buttons for the front closure, which is in a double-breasted style. Its brown color gives a very natural finish and refined look of the leather.